Lake Austin Spa Resort announces a new series of water and land-based classes and activities which utilize nature as therapy. The Ripple Effect: Water’s Wondrous Effects on Well-being is being introduced this summer at the award-winning 40 room wellness retreat. 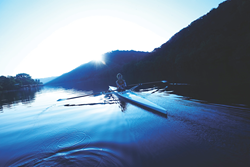 Sculling on the scenic Lake Austin in the Texas Hill Country. Water is not only an essential ingredient for a fun day on the lake; it’s also an integral part of well-being, scientists say. Beginning in May 2016, the award-winning luxury spa resort in Austin, Texas will introduce a new series of water and land based activities called The Ripple Effect, which will be offered year-round and utilizes nature as a playground for wellness. As the only destination spa on a moving body of water, guests of Lake Austin Spa Resort have a unique opportunity to discover the healing effects of this natural resource. In Wallace J. Nichols’ New York Times Bestseller, Blue Mind, the author explains how being close to the water can have real and impactful results on happiness and well-being. And starting this summer, more than 30 new activities will be available to overnight guests, more instructor-led water sports than any other resort in North America. Lake Austin is located just 35 minutes west of downtown Austin and features constant water levels controlled by the Lower Colorado River Authority. The 40-room wellness retreat rests on the shores of this unique waterway and overlooks the Balcones Canyonlands Nature Preserve, an idyllic setting to experience the benefits of a spa vacation. Water based fitness classes also take place in the Pool Barn – one of three pools at the resort – which is a free-standing structure surrounded by lush Texas landscaping that is home to a Junior Olympic length lap pool. Sunset Glow Paddle: This class leaves the dock at sunset and returns aglow with either a paddleboard or kayak rigged with underwater lights. SUP Grande Group Outing: This large inflatable SUP (stand up paddleboard) fits 4 - 8 people astride its large inflatable deck and can be used for a group lake outing or an extraordinary team building activity. Lake Pointe Canyon | Paddle & Hike: After a heart pumping half mile paddle to the trailhead, this class hits the trails for an invigorating hike, followed by a cool down kayak paddle back to the resort. Floating Meditation: This meditation class is designed to reduce and release pressure that only nature, a trickling lake and the peaceful sounds of nature can provide. Aimed to relax and restore, guests are guided on a natural journey on the yoga deck above peaceful Lake Austin. Aqua ZUMBA: Also known as the “ZUMBA pool party”, this low-impact and high energy Latin-inspired aqua cardio dance class features great music and lots of smiles. Blue Yoga: Soothing, relaxing, and releasing. The serenity of the water combines with the calming and therapeutic effects of yoga for a mentally and physically nourishing class focused on flexibility and mobility. Drift Away | Floating Water Meditation: Water is known for healing powers for mind and body. Using floating meditation mats in the Pool Barn, guests feel the stress from daily life release as they drift mentally and physically while the instructor provides a guided visualization. The Ripple Effect also encompasses activities off of the water, that are nature inspired including a new series of Hill Country hikes, outdoor activities and spa treatments in the LakeHouse Spa. This lusciously hydrating full-body quench infuses the skin with warm organic shea butter for head to toe healing. The shea butter is brushed on the body prior to being wrapped. While cocooned, warm oil is drizzled onto the hair for a luxurious scalp massage. Moon Hoops: Guests move their hips under the stars with glow in the dark hula hoops. Guests are mesmerized by movement as they spin their way to the beat under the stars with Hula Hoop expert, Kim Patty. Valley Vista Zen Nature Walk: A quiet stroll to utilize the senses. Halfway through the walk, the class centers with the earth via a series of yoga posture. This slow, intentional walk allows guests to listen, hear and feel nature. Forest Bathing at its best! The luxury spa resort and wellness retreat is known for providing a stellar experience on the shores of beautiful Lake Austin in the scenic Texas Hill Country featuring stylish interiors, an on-site organic garden which provide ingredients for deliciously healthy spa cuisine, as well as local and global inspired spa services in the LakeHouse Spa, up to 20 fitness classes and activities daily and a welcoming environment that prompts rejuvenation and relaxation. Currently, the resort is the #1 Hall of Fame Destination Spa in the United States by Travel + Leisure World’s Best Awards 2015, rated #1 Resort in Texas and the Southwest by Condé Nast Traveler Readers’ Choice Awards 2015 and the #1 Fitness and Wellness Resort in Fodor’s Travel 2014. Base rates start at $1720 per person for three nights, double occupancy in signature accommodations and include healthy, gourmet meals and unlimited fitness classes and activities. For additional information and reservations, call 800-847-5637, or visit http://www.lakeaustin.com. The Pool Barn, one of three swimming pools at Lake Austin Spa Resort.Water wellness makes a big splash in Austin, Texas at this wellness retreat. 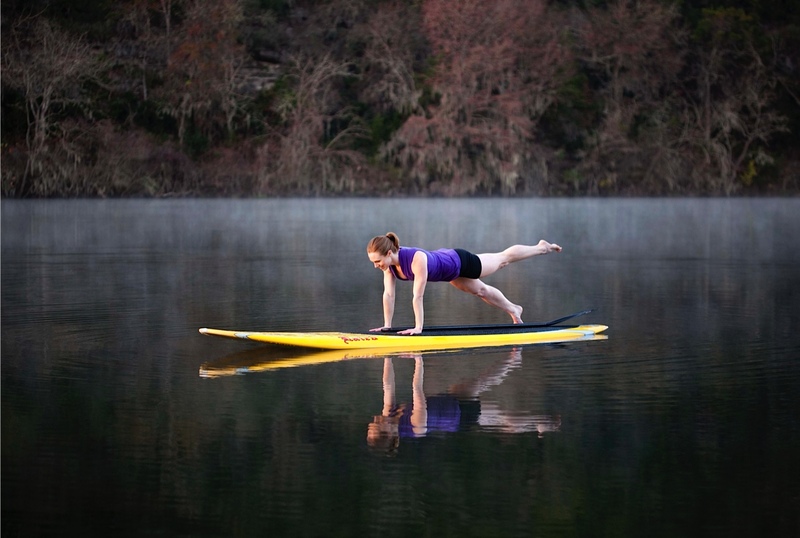 Stand Up Paddleboards are utilized for yoga, core workouts and more on Lake Austin.New water wellness themed classes are making waves at this award-winning resort in Austin, Texas. 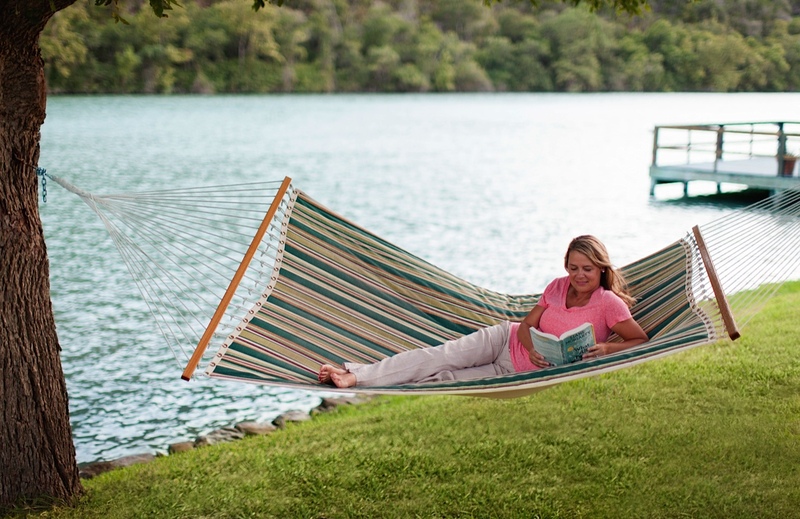 Health benefits can be achieved just by being near the water says science.Lakeside hammocks at Lake Austin Spa Resort provide rest and relaxation opportunities.